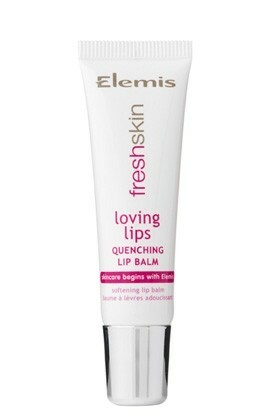 This refreshing peppermint lip balm from the Freshskin by Elemis ranged designed especially for younger skin, is enriched with passionflower oil, sweet almond oil and vitamin E to soften and condition the lips. Harsh winds, frosty mornings and strong sunlight all contribute to dry or chapped lips. Keep lips well moisturised at all times to minimise damage and drink plenty of water. Fine lines and wrinkles appear around the lips later in life, and smoking can exaggerate these lines. Really soothing and conditioning with a lovely fragrance. Conditioning properties, British product, natural ingredients. This product contains synthetic beeswax, sweet almond oil, other flower oils and peppermint oil, which combined create a product which glides onto the lips with a delicate fresh scent. Lips feel instantly silky and luscious. The effects last well and give the user a sense of well being. This product won't repair split lips, but it is a good defence against dryness and chapping caused by harsh weather. My lips loved it, so will yours. This balm is from a range FreshSkin, aimed a teens to 20yrs, although the lip balm is for all ages. Just as well, its yummy. This tube has a angled applicator, allowing just a smal amount out at a time, which is all you really need, unless your hooked on the wonderful taste/smell. The testure is light, not a thick balm, it's clear in appearance ideal if you want to use under other lip products. It is designed to help with dry lips over the winter, or when you need that little extra care. It feels wondeful on the lips, it isn't greasy. It does last reasonably well on the lips. The dry areas on my lips, have certainly seen a change since using this, and for only 4 days..although i did notice a difference after 48 hrs. I would definitely recommend it..even at £8..it will last if used wisely..
"Really soothing and conditioning with a lovely fragrance."